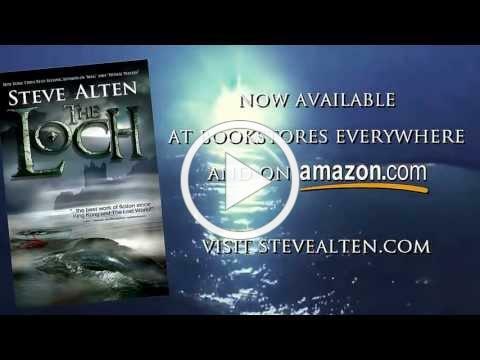 If you are reading this on Sunday night, the midnight hour is fast approaching. At one second after midnight EST, when we turn the calendar from September to October, The LOCH Special Collector's Edition hardback pre-sale will begin. The first 100 orders will be rewarded with a bonus gift... and it's a good one. Pre-sale orders will end on October 15 at 11:59 PM EST. Everyone who orders during this 15 day period will get their books by Christmas 2018. O nly these FIRST EDITION books will be signed by your s truly on a special signature page (similar to the one in MEG: Generations). In addition to my signature, these Special Editions will feature a new cover (still being designed as I type this), new interior 3D artwork, photos that will place you in the scene with the characters... and a very special bonus added at the end of the novel - The Science Behind The LOCH, a 30-page detailed report written by cryptozoologist William McDonald who headed two investigations back in 2004-2005, the evidence of which convinced me to delay the release of the book two months just so I could get the monster's species correct. Yes laddies and lasses, there really is a large animal living in Loch Ness and this report includes photos of its tooth and a model of its skull! came up with a plot twist and different ending which added 80 new pages which set-up an unplanned 7th novel in the series, MEG: PURGATORY. These delays will NOT happen with The LOCH as the book is already written; we simply need do call the printers and tell them how many copies to print. 1. Unlike GENERATIONS, it is the first in the series so the receiver doesn't have to read five other books to catch up. 2. These Collector's First Editions will be the rarest of the rare And their value will only go up IF a movie is announced. 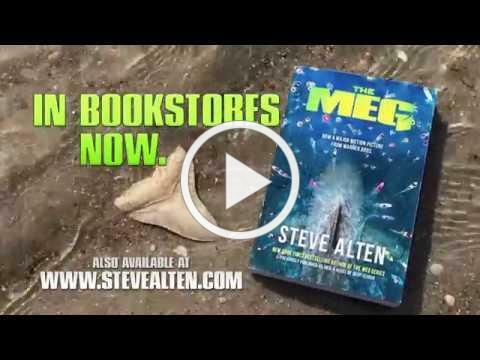 A look back: Summer 2005 and the "new evidence"
OBJECTIVE: To upload the MEG BOOK TRAILER on your youtube channel and spread it around your social media network to get views... or just come up with a clever video title that makes it go VIRAL. TO PARTICIPATE: Email me at Meg82159@aol.com SUBJECT: PURGATORY Contest. I will send you the file via HIGHTAIL. Upload it to your youtube and spread the link around. HOW TO WIN: Be creative in titling the video ad the key words. CONTEST RUNS from OCTOBER 19th thru DECEMBER 1st. The top TEN viewed uploads will be a character in MEG: PURGATORY (minimum 1000 views). It killed the great Wilt Chamberlain... so it's worth a read on prevention and care. At the MEG premiere, after the movie let out, my friend Mark pointed to Larry David. Being a huge fan, I went up to him and said, "Larry! I have to get a photo with you as my wife thinks I act just like you." I put my arm around him and someone snapped a photo. Turns out it wasn't Larry David. Beat cream into eggs. Stir in seasonings, cheddar, onion and bacon. Melt butter in a 9" frying pan. Pour egg mixture into pan. Sprinkle with Parmesan. Bake at 400 degrees for 20 minutes or until set and golden. Garnish with additional bacon, if desired. Serve immediately.